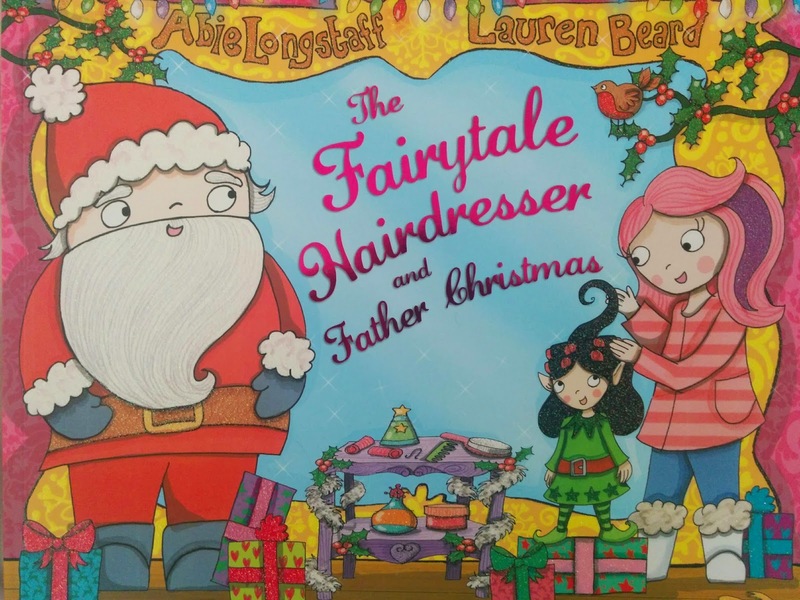 The Fairytale Hairdresser and Father Christmas by Abie Longstaff is one of those typical children's books that end in a happy ending. There are many others in this series and shows that it is quite popular. The beginning of the story is found wanting (from an adult's perspective) but changes tack through the middle of the book and then resumes normal transmission as the story ends. The book starts with a hairdresser named Kittie Lacey who is the best hairdresser in all the land. She is helping everyone do up their hair on Christmas eve, from the elves to Jack Frost. When it was Crystal turn to get her hair done, she couldn't be found. Everyone looked for her. They finally found her in the gift room frozen in a block of ice with all the presents gone! It was the Snow Queen with a heart of ice that had stolen all the presents. While the story is predictable what I liked are the simple illustrations by Lauren Beard. While simple, she has managed to add a lot of detail on the pages. The final few pages of the book made me giggle, when all the different fairytale characters get their presents. It is a nice twist, and follows on with the fractured fairy tales that I've been teaching in class. If I was going to find links that will help relate to something recently very popular. The Snow Queen reminded me of Princess Elsa. Lastly, the cover of the book is really pretty. The picture doesn't do it justice as it has glitter all over. I think this book will be a big hit with little boys and girls and would be a great bed time story.